Housing Out Of Reach For Many In The U.S.
Sheronna Ragin-Winters knows first hand what researchers found during a new study: housing in America is out of reach due to high rental costs and low wages. 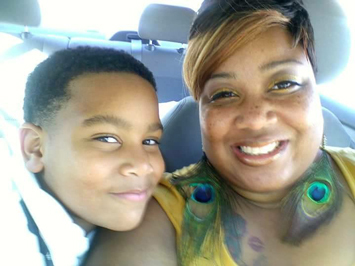 According to the single mother, she and her 12-year-old son, Troy, recently fell into homelessness in Memphis, Tenn., after a series of downfalls led to unemployment, dashed hopes of low income housing, and a brief stay at a shelter. According to Ms. Ragin-Winters, they lost their bed there, because she landed a job, which disqualified her for eligibility. “We sleep on the floor in a church, at a friend’s house in her living room, or on the floor at my grandma’s house,” Ms. Ragin-Winters told The Final Call. She once earned $18.75 an hour, which placed her into the category of average wage earners, according to statistics in “Out of Reach: The High Cost of Housing,” a report released June 8 by the National Low-Income Housing Coalition (NLIHC). The document reveals that on average a full-time worker in the U.S. must earn $21.21 per hour to afford a modest two-bedroom apartment and $17.14 to afford a one-bedroom apartment. 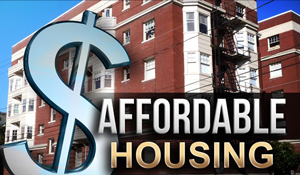 Housing costs are “out of reach” for both the average renter and for millions of low-wage workers, seniors and people with disabilities living on fixed incomes, and other low-income households, the report indicated. “Out of Reach” reports on the housing wage, which is the hourly wage full-time workers must earn to afford a modest rental home without spending more than 30 percent of their income on housing costs. The document’s findings on housing wages for every state, county, and metropolitan area in the country were that the average hourly wage of renters is $16.38, a wage that is $4.83 lower than the two-bedroom housing wage and nearly $1 lower than for the one-bedroom housing wage. “In no state, even those where the minimum wage has been set above the federal level, can a minimum wage renter working a 40-hour work week afford a modest two-bedroom rental unit,” authors reported. According to the report, the five states with the highest two-bedroom housing wages are Hawaii ($35.20); District of Columbia ($33.58); California ($30.92); Maryland ($28.27) and New York ($28.08). In Tennessee, the housing wage is $15.34, assuming a 40-hour work week at 52 weeks per year, according to the report. In order to afford a two-bedroom at fair market rent of $798, plus utilities, without paying more than 30 percent of income on housing, a household must earn $2,659 monthly or $31,907 annually. “Out of Reach 2017 shows why millions of low income renters are struggling to afford their homes,” stated Diane Yentel, president and CEO of the National Low-Income Housing Coalition. “We have the resources to solve the affordable housing crisis in America by rebalancing federal housing expenditures to serve our country’s most vulnerable households. We lack only the political will to do so,” Ms. Yentel said. Even with a so-called “good job,” Ms. Ragin-Winters said she couldn’t survive in Memphis. She was bringing home $3,000 a month working overtime as an electrocardiogram (EKG) and surgery technician, she said. Now, she makes approximately $1,200 after taxes each month. The ordeal has taken a heavy toll, especially on her son, she said. “My son has been placed in a situation where he can’t afford to be my son. … So, he takes that role on like he’s my protector. He’s concerned if I get to work on time. He’s concerned if I don’t have gas money. He’ll collect his change or his dollars he’s been saving, and he’ll say, ‘Here, Ma. Just go get some gas,’ ” Ms. Ragin-Winters said. “He’s taken on a lot of things he shouldn’t have to deal with as a child, because he’s been my only support system,” she added. According to “Out of Reach,” the disparity between the housing wage needed to afford a rental home and workers’ wages results in a shortage of 7.4 million rental homes nationwide that are affordable and available to extremely low income households. More than 11 million rental households in the U.S. are spending more than half of their incomes on their housing, and hundreds of thousands go homeless on any given night, the report continued. According to Ms. Ragin-Winters, she never made it past receiving a voucher. While she was looking for an apartment, she received a notice that it was void because all funds were depleted, she said. Those who already had Section 8 rentals could keep them, but her county indicated it could not help new families, she said. For others, the results were dire, she reflected. For instance, one young mother had finally found a place and had already transferred her son’s school when she learned of the cuts. Now she’s stranded, as was another mother who traveled from Washington, D.C., according to Ms. Ragin-Winters. Her voice resonated with frustration, sadness, and hope, as she spoke of preparing to send her son Troy back home to live with his father in Chicago. She’s been struggling too hard, she said. President Donald Trump’s proposed cuts to the U.S. Department of Housing and Urban Development (HUD) will only make things worse, she said. According to the National Low-Income Housing Coalition, the nearly 15 percent or $7.4 billion cuts to HUD compared to 2017 could lead to more than 250,000 of the lowest income people losing their housing vouchers. That would increase homelessness and housing poverty, as well as impose punitive measures that would jeopardize family stability—increasing the financial burdens they face through higher rents and ending support to help cover the cost of basic utilities, like water and heat, according to the housing coalition. “The way that this is set up is entirely for failure. It is structured so that you can stay poverty-stricken. There is no way that you’re supposed to be assisting me, but then you keep me at a bare minimum, where I cannot get a job to even afford to take care of myself, but now you tell me I can’t make over $1,100 a month, and this is with a kid,” said Ms. Ragin-Winters.